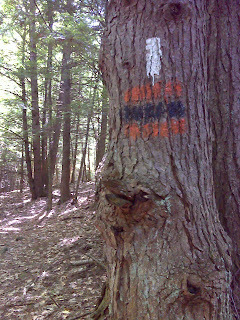 The DOC was founded just as the Vermont Long Trail was being conceived - 1909. 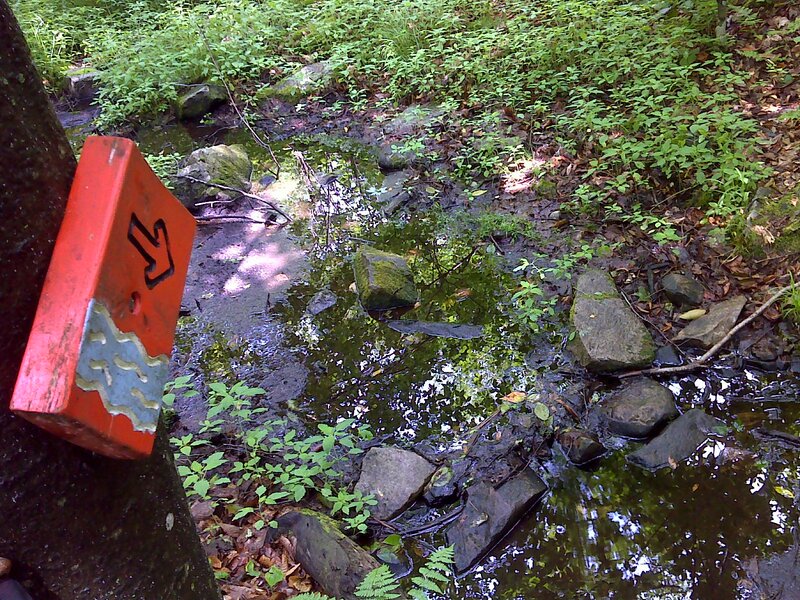 Traditionally they blazed all the trails they built and maintained with the same orange and black they use on their signs. 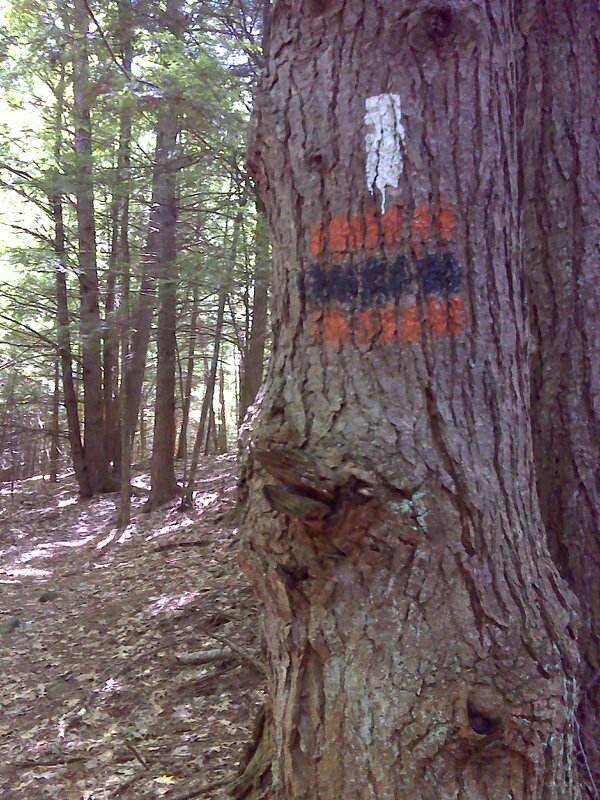 It has only been relatively recently that they were convinced to blaze the AT with the standard 2" x 6" white blaze. 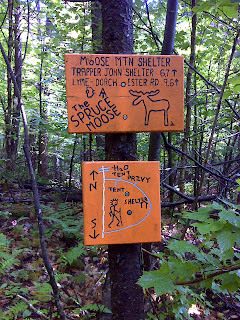 Every trail section still has an individual trail name too. It's not called the Appalachian Trail. 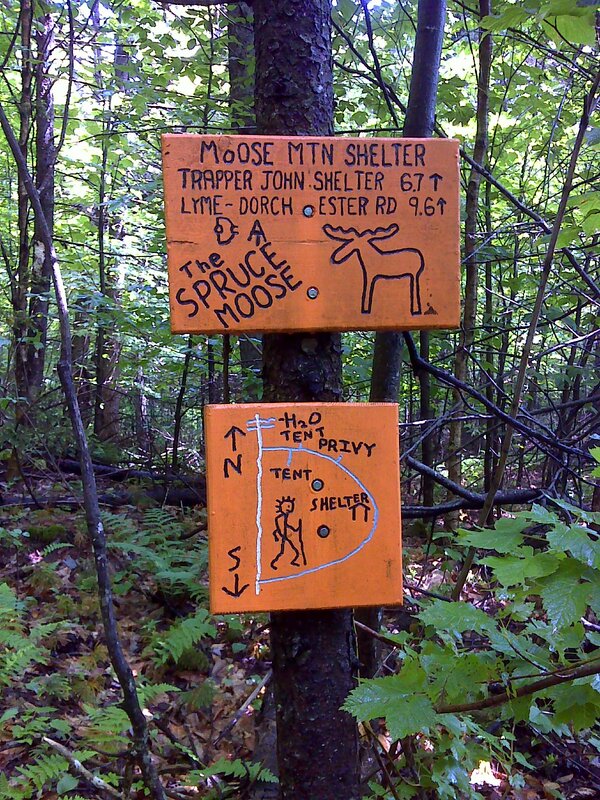 Today, for example, it was the Moose Mountain Trail. Names usually change at road crossings. Fortunately most of the signs also show the AT logo, so with the white blazes in place it's seldom confusing which way to go. Today was a warm day with stifling humidity. I sweat until my clothes were soaked. 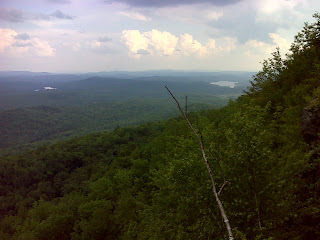 There were three 1000 foot ascents to do (Moose Mountain both ways and Holt's Ledge). 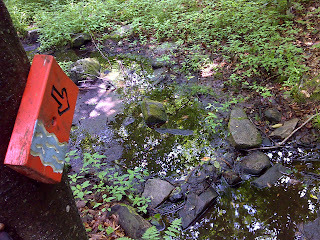 Fortunately the footing was good - few rocks, roots and swamps. There were some nice views as rewards at the summits too. Here's the pick-of-the-litter, the evening view from Holt's Ledge about an hour before the storms moved in. Fortunately I was back to my steel tent before the rain hit - nominally dry ... on the outside ... but soaked with sweat from the inside out. Is there a difference?